FOUNDED IN WESTCHESTER IN 2017. 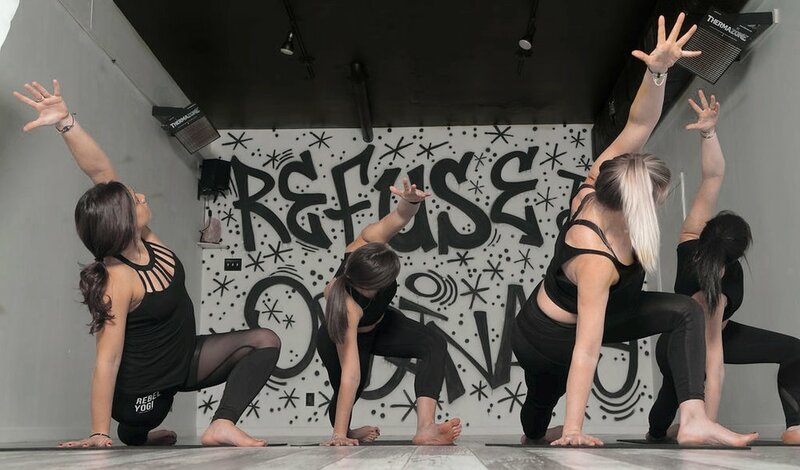 REBEL YOGA IS A ONE OF A KIND, BOUTIQUE, HOT AND NON-HOT YOGA STUDIO LOCATED IN MT. PLEASANT, NY. EVERYONE HAS A REBEL SPIRIT ANIMAL AND EVERY CLASS IS DESIGNED TO UNLEASH IT. REBEL YOGA IS STILL TRADITIONAL WHILE BREAKING MOLDS AND YOGA STEREOTYPES, WE'RE ALIGNMENT AND INJURY PREVENTION FOCUSED AND ALL ABOUT HOW TO GET YOUR BODY TO MOVE MORE EFFICIENTLY.